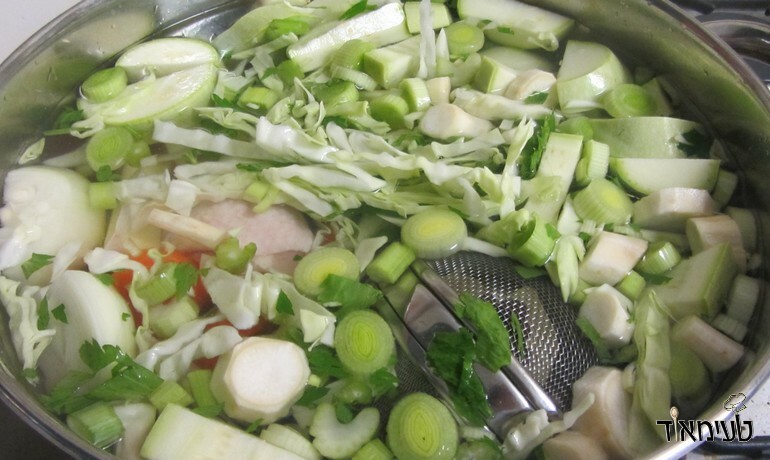 Chicken soup with vegetables - tasty, fragrant, nutritious, and most importantly super delicious! 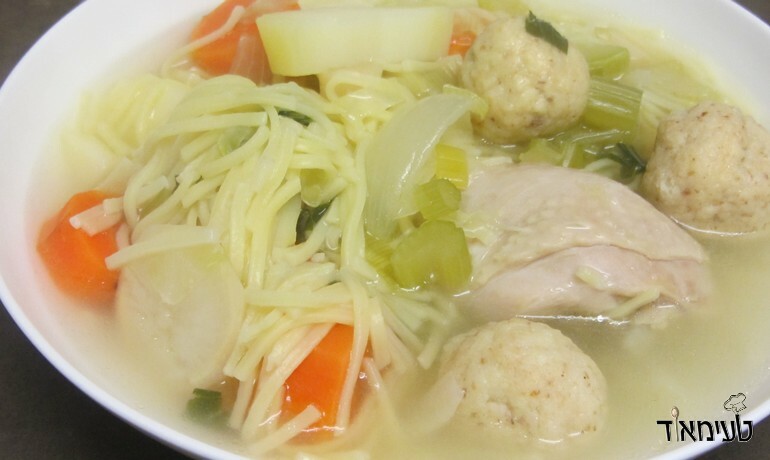 Chicken soup with vegetables in a rich broth is the best because of its delicious variety of vegetables that provide amazing tastes and chicken parts that complement the flavors and make the soup a real winter pleasure. The soup can be done with any part of the chicken you want. 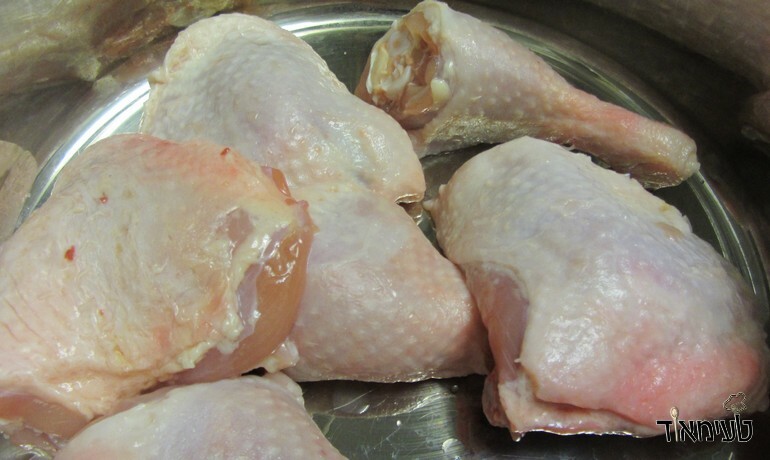 If you would like to be able to eat the chicken - Use thighs or breast. If you only want the chicken flavor - use cheaper parts like wings or throats - and simply strain the soup after cooking them. But do not miss out on using the chicken. Its contribution provides immense taste! 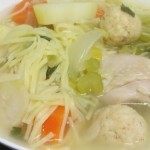 At the end there will be tips for those who want to make chicken noodle soup! Chicken - 2lbs. Thighs, calves, drumsticks, throat, wings, chicken breast. You name it! Cut the carrots, potatoes, zucchini and cilantro into chunks. (the bigger, the better). 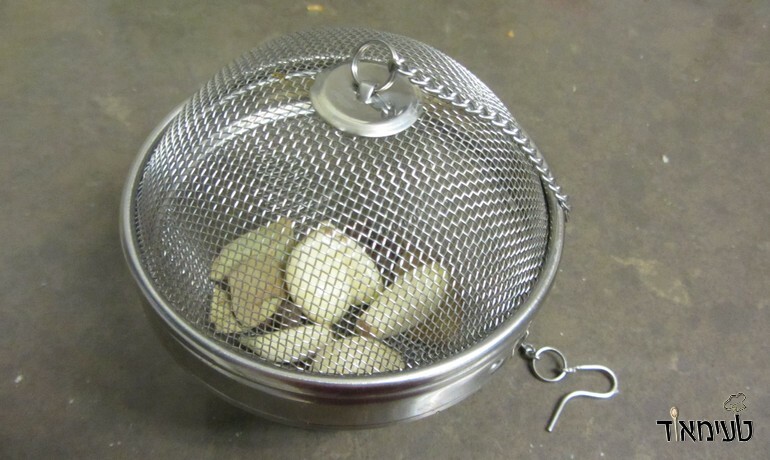 Peel the garlic and then place it in a spices"filter" with the english peppercorns and place in the pot. 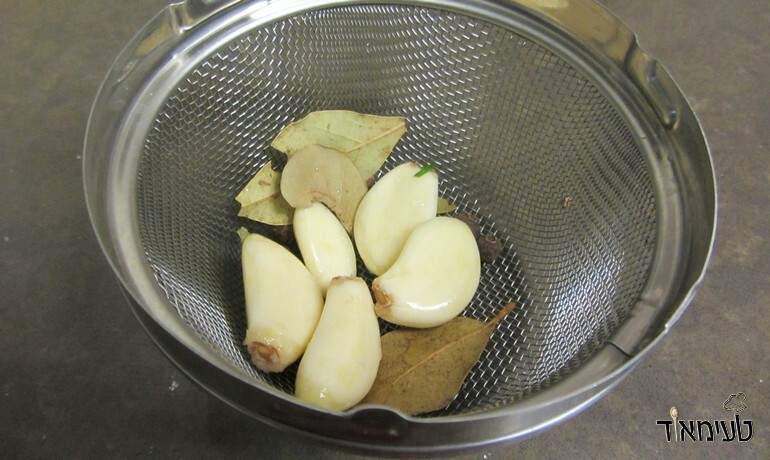 If you don't have a spices "filter"- Place the garlic directly in the pot and replace the english peppercorns with ground black pepper. 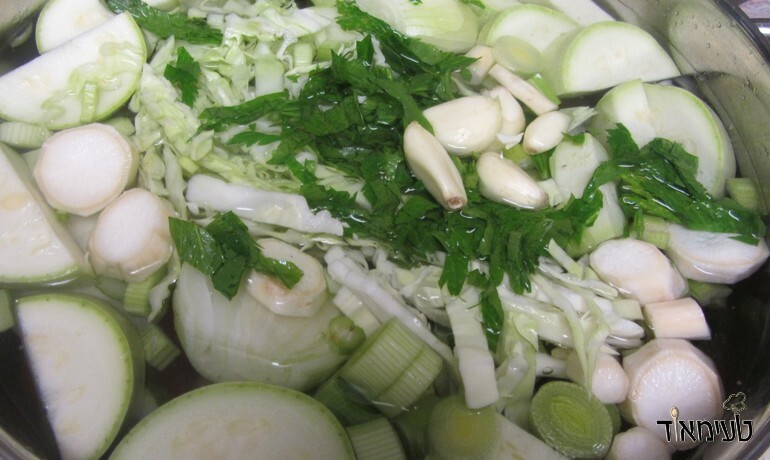 When the soup is already ready - add the noodles to the soup (2 handful should do the job) and cook for another 7 minutes without a lid.